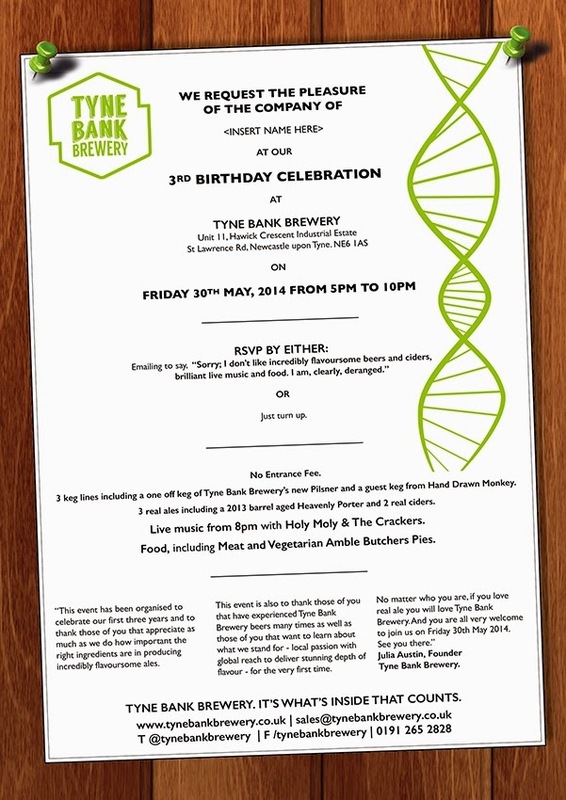 Tyne Bank Brewery: It's nearly party time! Preparations are coming along nicely for our 3rd birthday party this Friday. We've build a bar, pies are ordered and beer is racked and ready. There's still plenty to do though, and we're busy tidying up ready for the big night. Everything kicks off at 5pm on Friday with a great selection of cask, keg and bottled beers, traditional cider, soft drinks, and our experimental hopped gin! We're really excited, its set to be a good night. Hope to see you here on Friday.